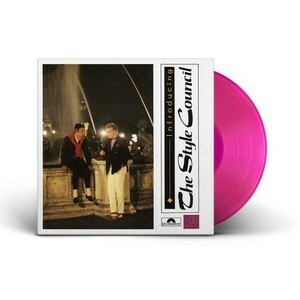 Polydor and USM are proud to announce the release of both The Style Council’s Café Bleu & Introducing: The Style Council on limited edition heavyweight coloured vinyl. Both albums have been remastered at Abbey Road and come in reproductions of original packaging with download codes. INTRODUCING: THE STYLE COUNCIL: An extraordinary, eclectic intro to the band - a round-up of the first few British singles and B-sides. Features the Jam-styled Speak Like a Child (UK no. 4 hit), the radical departure of Long Hot Summer (UK no. 3 hit) and the hard-hitting political Brit-funk of Money-Go-Round. Magenta coloured heavyweight vinyl with download code.